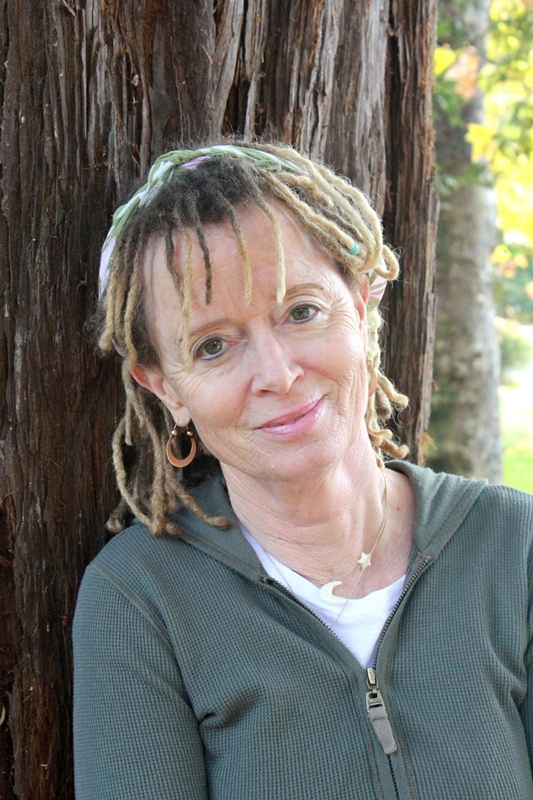 Twenty years ago, novelist Anne Lamott raised a few eyebrows, ruffled some feathers, and struck a resonant chord with millions of mothers with her memoir Operating Instructions: A Journal of My Son’s First Year. In this classic bestseller, Lamott chronicled the joys and perils of having a baby — at 35 and as a single mother — with unflinching honesty and self-deprecating humor. Anne raised Sam alone, her faith and a tight circle of family and friends getting her through the lean years and rough patches. 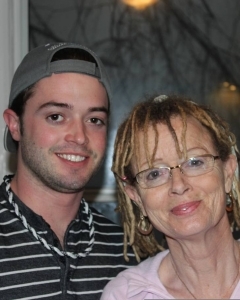 When Sam left the nest to study industrial design at a local university, Anne said a prayer of thanks. Now, she could go for longer walks with the dogs, spend more time with friends, breathe a little easier. She began work on a new book, Help, Thanks, Wow: The Three Essential Prayers. Then, the day before Thanksgiving, Lamott got the call: Sam, 19, and his 20-year-old girlfriend, Amy, were having a baby. In July 2009, Jax was born, and Anne, 55, became his delighted, if angst-ridden, paternal grandmother. “They were both a little young, but who asked me?” Lamott writes in Some Assembly Required: A Journal of My Son’s First Son. Co-written with Sam, the book includes his observations as a new dad but focuses primarily on Anne’s first year as a grandparent and the mother and mother-in-law of teen parents. Upon first learning of Amy’s pregnancy, Anne told during our interview, her first thought was, “Oh no. It’s so hard to get through college with an infant. It’s so hard to raise an infant without being in college. . . . He’s going to have to do both at once.” She feared it would be impossible. She also worried that Sam and Amy’s on-again, off-again relationship would fall apart. Then what? Would Amy take Jax away, to live across the country near her family? The fear of that potential outcome plagued Anne the entire first year of her grandson’s life. So did the parental urge to control. “I did better some times than others,” she admitted. Some Assembly Required contains a great acronym: WAIT — Why am I talking? Anne practiced WAIT throughout that first year. Slowly, she learned to just watch and witness, to be there if Sam and Amy asked for help and not to foist her help on them. Sam did take a year off college, and he and Amy did split up. Sam is back in college now, and the two young parents are raising Jax together, in separate houses. Everyone — including Anne, whom Jax calls Nana — lives within 30 minutes of one another. Anne gets plenty of Nana time with her grandson, now a preschooler. They attend Sunday school, go to parks, have sleepovers, read, and just be goofy together. According to Anne, grandparents are “esteemed” by grandchildren because they don’t thwart them with a lot of rules and regulations like parents do. When children aren’t resisting or mad at you, it’s easier to teach and enjoy them. 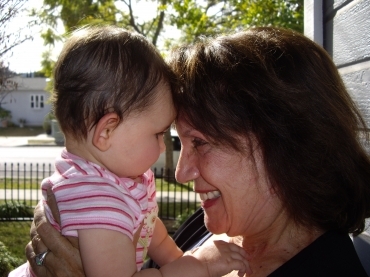 “One of the most amazing things about being a grandparent is watching your child become a parent. It’s astonishing to see a rough and tumble boy changing diapers and feeding an infant a bottle. And the way your child gazes into his child’s eyes, it’s just so touching, it nearly brings me to tears. Colleen Sell is editor-in-chief of GRAND Magazine, a seasoned freelance writer and editor, and the former editor / anthologist of the bestselling Cup of Comfort book series. She is truly, madly, deeply in love with her six grandchildren.